And even in a mythical Age there must be some enigmas, as there always are. The above quote is about Tom Bombadil who is, perhaps, the greatest enigma of all of Tolkien’s cosmology. 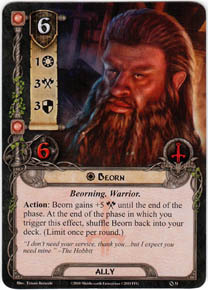 But one that is often overlooked, because he fits rather well in spite of his odd placement, is Beorn. There are no other ‘skin-changers’ in the Third Age of Middle-earth and scarcely any in all of its long history. So who is this man, if Man he is? From where does he come and what birthed his curious ability? We first learn of Beorn as a Somebody. 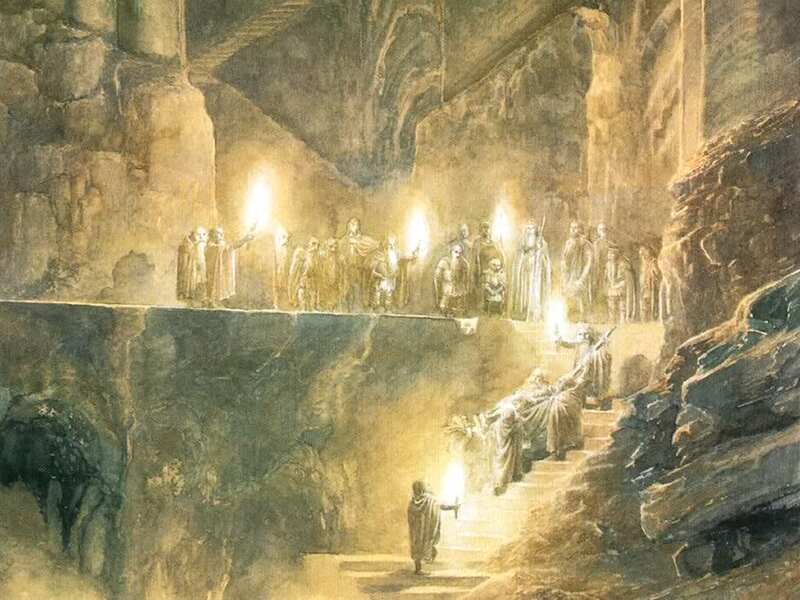 In fact as Thorin and Company, plus Gandalf and Bilbo, are descending the Carrock with only the clothes on their backs and bellies half-full of rabbit meat (provided by the eagles) they have no real place to seek help except for the home of a Somebody. Gandalf is reluctant to explain just who this Somebody is. “And why is it called the Carrock?” asked Bilbo as he went along at the wizard’s side. The dwarves all gathered round when they heard the wizard talking like this to Bilbo. “Is that the person you are taking us to now?” they asked. But there is nothing for it: there only help is from this Somebody, Beorn the skin-changer, and he must be dealt with gently. Once in his Hall there is much more to be learnt about Beorn. He is a huge Man, but assumes the form of a great bear seemingly at will (and especially at night). He is grumpy and suspicious but hospitable and, once he learns that Thorin and Co. did in fact kill the Great Goblin, he is a fast friend and a loyal. But he is frightful and vicious. Indeed, he presents one of the more ghastly images in all of The Hobbit (an intended children’s tale), that of an orc head mounted on a pike. In the Desolation of Smaug we have (an absurdly brief) meeting with Beorn and it is suggested that he and his folk were captured and used for sport by the goblins of Goblin-town; Beorn is the last of his kind and his hatred for the goblins goes deep. This is actually in strong keeping with the text, as Gandalf tells the dwarves on their way to his Hall that according to rumor Beorn’s people were once denizens of the Misty Mountains, or perhaps descendants of the very first Men who lived in that part of the world. Gandalf once heard Beorn say, ‘The day will come when they will perish and I shall go back!’ meaning to the Mountains, from whence the wizard believes he came. In that same little speech Gandalf tells us that Beorn does not eat meat or kill animals for their fur. His kinship with his animals is great and they are ‘nearly as marvelous as himself’. 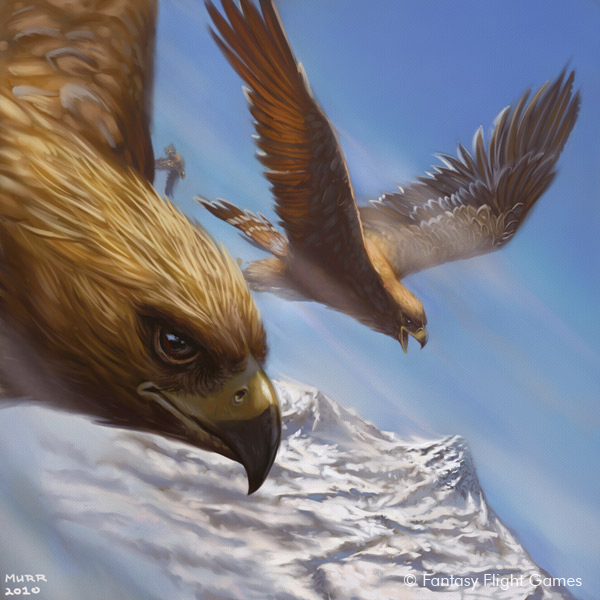 Despite the talking spiders, eagles, and trolls already in The Hobbit Beorn and his Hall still seem somewhat out of place in the greater history of Middle-earth. Surely Tolkien had the idea of a skin-changer in mind for quite a while. They are in classical and northern mythology and had probably already made an appearance in his early drafts of The Silmarillion, particularly the tale of Beren and Lúthien in which Sauron takes the form of a massive wolf and Beren and Lúthien take on the appearance of a vampire. But Sauron is a being of spirit who can take on forms at will; Lúthien is part Maiar spirit and perhaps had a similar power, or at least enough to produce such an illusion. There is no one else who, by their nature, can take the form of a particular animal at will, no skin-changers by name. And so, like many other appealing characters, Beorn remains a mystery. ‘His is under no enchantment but his own’ and we just don’t know where this enchantment comes from. And also like many other appealing characters, Beorn has received some attention from the good folks in Tolkien scholarship. In Corey Olsen’s splendid Exploring J.R.R. Tolkien’s The Hobbit, a whole chapter is devoted to ‘The Wild’ and in essence Beorn represents a bridge for Men and civilization into the realm of the wild. In that realm there is good and evil, but the even the good is dangerous. As I said before the character itself is likely drawn out of the northern myths Tolkien loved so well. One such myth was The Saga of King Hrolf & His Champions in which a man called Bjarki, and his family, change into bears. Some have said that Beorn is simply Beowulf. Like, the Beowulf, whose name means ‘bee-wolf’ or bear. Beorn, of course, means ‘bear’ or ‘warrior’ in Old English and is essentially the same in Old Nore and other Scandinavian languages. 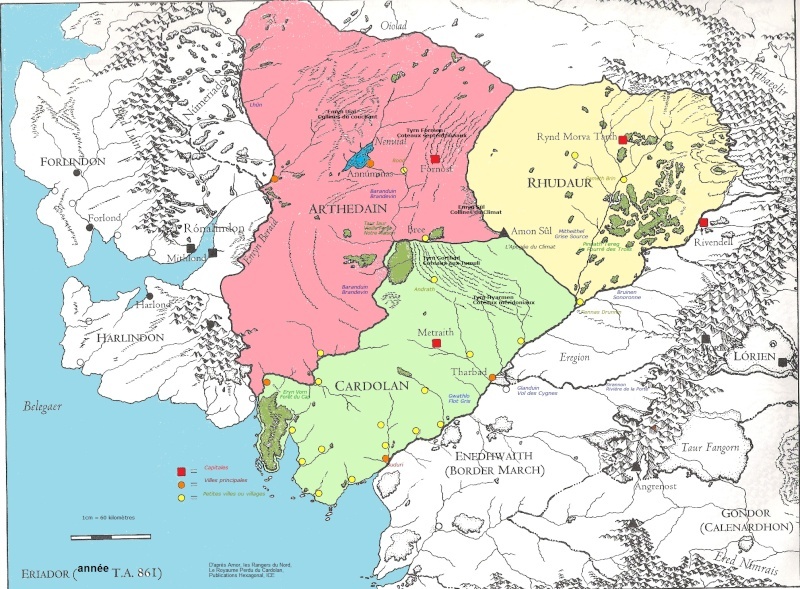 The Nordic root is further shown as he welcomes Thorin and Co. into what is effectively a mead hall of ancient times in a scene that speaks to Tolkien’s desire to merge the Christian worldview with the heroic myths of yore. But saying, ‘oh it’s just from those old timey stories’ with Tolkien would be like saying, ‘oh Jackie Chan is just a modern Charlie Chaplain’ (bad example?). The comparisons have a falling off point. Beorn is not just a representation of medieval Danish heroes, or a highway into a Christianized north: he is nature, furious in wrath but righteous; he brings to mind Aslan who is not safe, but good. Doubtless many, many things in Tolkien’s work reflect or channel those northern myths, from Beowful to the Kalevala and beyond, but such was his skill that the references fold without seam into the world he was making. Beorn, mysterious as he is, is just another (very freaking cool) thread in the tapestry. Until such a time as we can crack open the mind of the man, don’t bother the giant bear. I approve of this article. I didn’t even get into the whole bit about how he leaves his isolation after the death of the Dragon to become a great chieftain of Men. I guess that’s a story for another day. I found it extremely disappointing how little attention Beorn was given in the movie – that scene is hilarious in the book, and I think could have been done quite well in the movie. This is particularly egregious given the amount of other random crap that was shoved in. Agreed! I had many a grief with these movies but I think I’m coming to terms with it.